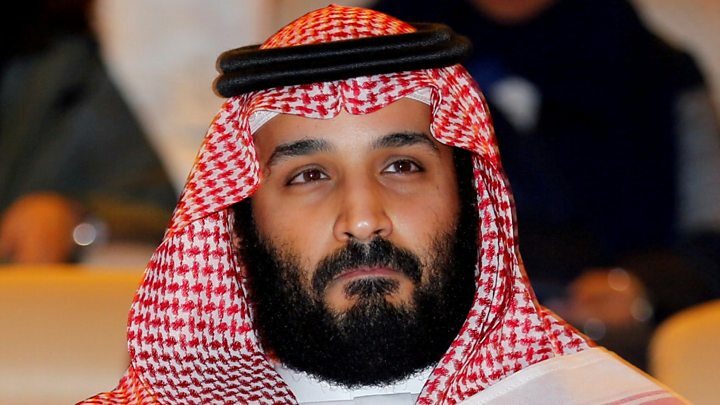 Saudi Arabia’s crown prince has called Iran’s supreme leader “the new Hitler of the Middle East”, amid heightened tensions between the two countries. Alluding to Iran’s growing regional power, Mohammed bin Salman said it was important to avoid a repeat “of what happened in Europe in the Middle East”. In response Iran advised the prince to “ponder the fate of famous dictators”. Saudi Arabia and Iran are rivals and have increasingly accused each other of fuelling instability across the region. Speaking to the New York Times, Mohammed bin Salman said Iran could not be allowed to spread its influence. In a statement, Iranian foreign ministry spokesman Bahram Qasemi accused the “adventurist” crown prince of “immature, inconsiderate, and baseless remarks and behaviour”, the semi-official Isna news agency reported. Mohammed bin Salman, the kingdom’s de facto ruler, has taken a hard line towards Iran since coming to prominence in the past two years. Earlier this month, he accused Iran of what he said was tantamount to an act of war, blaming it for a missile attack aimed at the Saudi capital, Riyadh, by rebels in neighbouring Yemen. Saudi Arabia – a Sunni Muslim-majority country – and Shia Muslim-led Iran are at loggerheads across the Middle East. The Saudis accuse Iran of aiding Shia Houthi rebels in Yemen, where a Saudi-led coalition has been fighting a war since 2015. Iran and the rebels have denied the charge. Saudi Arabia has been widely blamed for exacerbating Yemen’s humanitarian crisis, which the UN has described as the worst in the world.